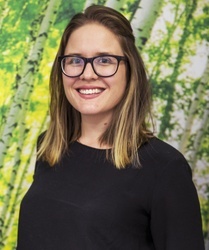 As the chief customer officer for Powershop Australia, Catherine is an integrated marketing communications specialist with over a decade of experience on both client and agency side in the Asia-Pacific region. Prior to her appointment to Powershop, Catherine worked for multinational brands such as The Coca-Cola Company and Siemens. Ranging from -100 to +100, broadly speaking an NPS above 0 is considered positive. However, there are plenty of industries, the energy industry included, where a negative NPS is the status quo. Love it or hate it, your NPS is a powerful indicator of your overall customer sentiment and brand loyalty, and provides the opportunity for brands to better understand and improve the customer experience they are creating. Our most memorable customer experiences generally come from either the very good or very poor end of the spectrum. When it comes to the bad experiences, I’m sure we’ve all got endless examples. But when we talk about what does work, the examples aren’t so consistent. Of course timeliness, convenience and personalisation are important to a customer's experience, but what are some actual tactics for driving up NPS? There are plenty of different ways to track a company’s NPS. At Powershop (we’re an energy company), we have been running NPS check-ins daily for almost a year and have a monthly average NPS of +52 from over 7000 customers surveyed. We’ve gleaned a few ideas from our experiences, or at the very least a framework that has helped us become a brand people love in an industry people typically hate. Our social media channels aren’t abandoned over the weekend. Instead, it’s our executive management team monitoring the accounts on rotating weekend rosters. This ensures everyone in the company is in constant contact with customers, meaning business decisions, innovations and changes can be drawn from customer insights and conversations rather than a boardroom. This flexibility drives both customer happiness and ease of referral. It’s absolutely not about having something for everyone, it’s about having flexible options. Powershop has a history of open communications and the team has won Canstar awards three years running in Victoria. Driving this level of satisfaction means customers have a level of trust for Powershop. If we do happen to stuff up, we’re fine to admit that, fix the problem and keep things honest and open as our customers have built trust with us. This is filtered through to how our business operates with providing customers close to real time energy usage information. Customers expect we’re giving them as much info as we can, and that drives their trust and satisfaction. At Powershop, we do this in the way we display our customers energy usage and cost per day, simple measures are shown in an easy to understand way. For those customers who want more data, it’s always there, but it’s kept simple upfront.